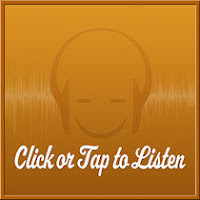 15 4 4 Nitish Kulkarni Listen. Ambiscend is the recording alias of Texas-based electronic music composer, Darren Rogers, who’s previously released several albums ranging from ambient-space to healing new age. Comprised of five compositions spanning approximately eight to ten minutes each, Darren’s latest album, entitled Tranquility, occupies a serene sweet-spot between the two styles, as subtly melodic synthesized textures are enhanced throughout by field recordings of ocean waves and nocturnal forest environments. 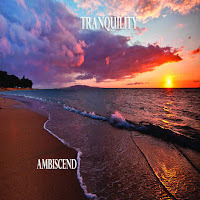 The album opens with the aptly-named and beautiful piece, “Time of Tranquility”, which is characterized by subtle major-key transitions comprised of metallic shimmers that seemingly evoke a blue sky streaked by cirrostratus clouds. Spanning a little under ten minutes, the composition is slightly reminiscent of the music of Deuter or Liquid Mind, as accompanying sounds of glassy chimes and singing birds enhance its lulling atmospheric tranquility. “Floating Enchantment” follows along a similar path with slowly-shifting synthesized tones, although this time accompanied by the nocturnal sounds of chirping crickets and gentle ocean waves that aptly convey a scenic nightfall. The tantalizing and mysterious, “Earth Sings its Song”, is easily my favorite – clocking in at ten minutes even. Here, shimmering swells and rolling waves allude to an underwater paradise that pleasantly reminds me of music from the album Journey to Atlantis by Kevin Kendle and Llewellyn. “The Night is Calling” continues with cascading waters washing upon glistening tones – until finally concluding with “Earth’s Bedtime”, on which chirping crickets return to the dreamy accompaniment of celestial chords and sparsely-spaced wind chimes. This album is available from Bandcamp, Amazon and CD Baby. Michael Kollwitz is a lifelong master of the Chapman Stick – a guitar/piano type of hybrid instrument in both its sound and functionality, which resembles the head and neck of guitar but is played more like a piano by using two-handed tapping. 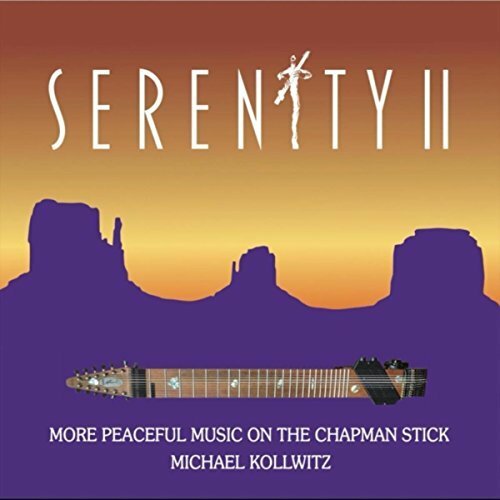 Having previously lived in Sacramento, California before relocating to Hawaii in 2007, Kollwitz’ latest album, entitled Serenity II: More Peaceful Music on the Chapman Stick, was recorded in beautiful Sedona, Arizona. 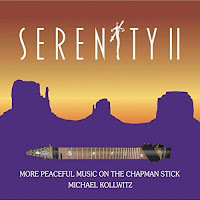 His 22nd album to date – and 2nd album marketed in the “new age” genre – Serenity II embarks along a similar musical path as its equally mesmerizing predecessor, Serenity, in the form of 16 instrumental compositions that were inspired by the book Steps to Knowledge: The Book of Inner Knowing by Marshall Vian Summers. The album opens with “The Presence”, an earthy and soul-soothing piece that perfectly sets the mood for the rest to follow, as a balmy melody washes over the senses like a warm current. Kollwitz’ signature sound is intimately cozy and leisurely, as he seemingly merges the equally spellbinding albeit naturally contrasting environments of the Hawaiian pacific with the Arizona desert, often within the same composition. The melodies mostly possess a dreamy, fluid quality that is frequently enhanced by atmospheric backlighting in the form of subtly shimmering and suspended tones, which lend the compositions additional depth and richness. Thoughtful song titles allude to themes of personal reflection, whether it be inwards upon one’s own feelings and emotions or outwards upon surrounding natural landscapes, as one might easily imagine themselves cozying up by a fireplace, relaxing by the Oceanside, or peering out into a sunset canyon from a mountaintop. While it’s difficult for me to choose a favorite track on this album – being that every composition is as equally compelling as the next – after repeated listens, I did find myself particularly drawn to “Climbing the Mountain” and “Blue Skies”. Neil Patton is a supremely talented composer and pianist/keyboardist (as well as a singer – although I’ve yet to hear him in that capacity) whose released four solo piano albums to date. His latest album, entitled Solitaire, is comprised of 15 outstanding compositions spanning a little over an hour – and follows-up his fantastic release, Between Shadow and Light, which was one of my personal favorite solo piano recordings of last year. The album opens with “The Turning Page” – a delicate, brisk-paced number that initially begins with a light and fluttery melody played in the higher register, as it increasingly adds more fullness via lower register chords along its course. 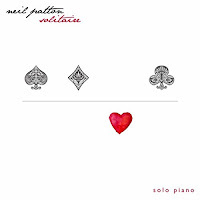 Aptly setting the pace for the rest of the album, Neil expressively yet gracefully takes the listener on an inner journey that captures both hopeful, joyful moments as well as solemn, introspective moods, as he brilliantly performs on the keys with seemingly perfect ease and fluidity. One particularly notable piece is “Walking on Air”, which recalls a hint of George Winston. Characterized by a colorfully radiant and vivid melody, the composition is seemingly punctuated by spiraling bursts of energy. Another favorite of mine is “The Muse”, which pleasantly recalls some of Liz Story’s work, as it effectively showcases a constantly-changing pattern that sparkles and spins throughout. I’m also especially fond of “Twilight” – a boldly cinematic yet contemplative piece that bears touches of David Lanz. Here, Neil impressively creates a three-dimensional effect with his remarkable playing technique. As with his previous album, Between Shadow and Light, Neil has once again saved the best for last (for me anyway) in the form of a similarly darker, lengthier composition entitled “Gethsemane”. Named for the urban garden at the foot of the Mount of Olives in Jerusalem, of which is probably best-known for being the place where Jesus prayed the night before his crucifixion, this hauntingly beautiful number imparts an aptly mysterious, reflective mood. Here, Neil employs some gentle digital delay and liberal amount of reverb to create an all-encompassing, epic sound – making this one of my favorite solo piano pieces to emerge from an artist in a long time. 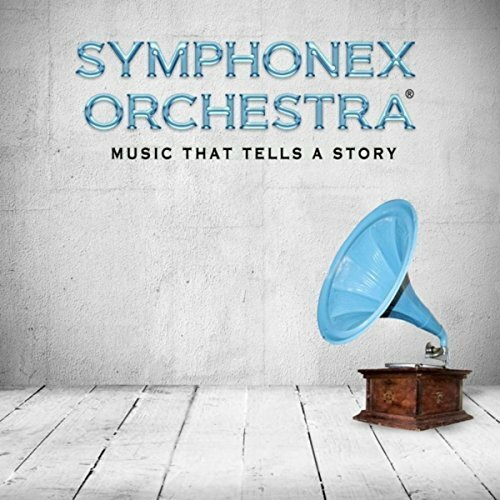 Symphonex Orchestra is a concept project by musician and composer Peter Xifaras, who originally released his debut album, Appassionato, in 2000. Titled Music That Tells A Story, Xifaras’ latest release is a double album comprised of 27 compositions, of which he aptly describes as “a collection of orchestral adventures that have inspired authors to put pen to paper, writing words to the images that this music evokes.” Joined throughout by a handful of guest artists, the classical-centric compositions range from modernly sophisticated with distinct electronica and world flavors to more traditional orchestrations that possess a cinematically sentimental flair. Opening with a piece from the "Dreams in Bloom" set, this an instrumental collection of six compositions was inspired by a beautiful love story. Additionally, disc two includes introductory narrations by Joan Jacobs to accompany each of their instrumental counterparts. The outstanding first cut in this set, entitled “The Encounter”, is a robust and dramatic foray into cinematic electronica. 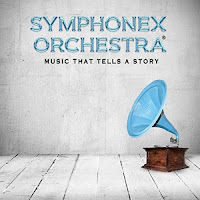 Featuring a slick beat and bassline accentuated by classical strings, the chic composition is molded in a similar vein to material from Kevin Keller’s La Strada or Prequell’s The Future Comes Before albums. Another noteworthy piece in the first of five sets is “Garden by the Sea”, which opens with glistening wind chimes. Elegantly cinematic with brushes of piano, viola and bell-tones throughout, the composition’s seemingly East Asian bent aptly brings-to-mind lovely images of a pastel-painted Japanese garden located in a mountainous mist. "Variations a on Theme of Tromboncino" is derived from the song “Ostinato vo’ seguire” by Bartolomeo Tromboncino, which was originally published circa 1500. Beautifully sung by Felicia Farerre in Italian, this modern rendition masterfully fuses classical renaissance with a contemporary-pop style that reminds me a bit of composer Paul Schwartz’ Aria and State of Grace projects. And finally, my absolute favorite piece on the album is the gorgeous “Hevene Quene: Edi Beo Thu”, of which perfectly concludes the first disc. A modern adaptation based on an anonymous composition composed in the 13th century, the piece is sung in Middle English and features ethereal vocals that are somewhat reminiscent of Sarah Brightman’s. Enchantingly lush, ethereal and gently rhythmic, the piece incorporates ethnic percussion woven among electronic programming and classical orchestration, while bearing signatures of Celtic, classical and medieval music.